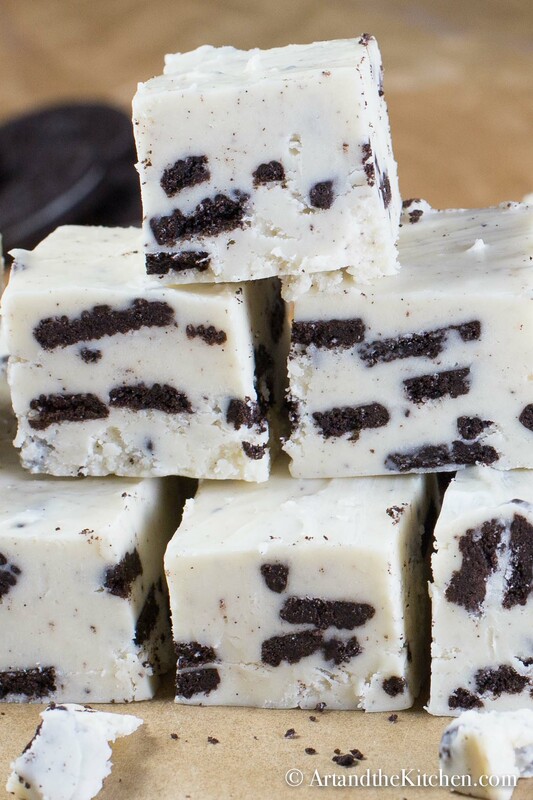 This recipe is adapted from a super fantastic blogger Aimee from Shugary Sweets. 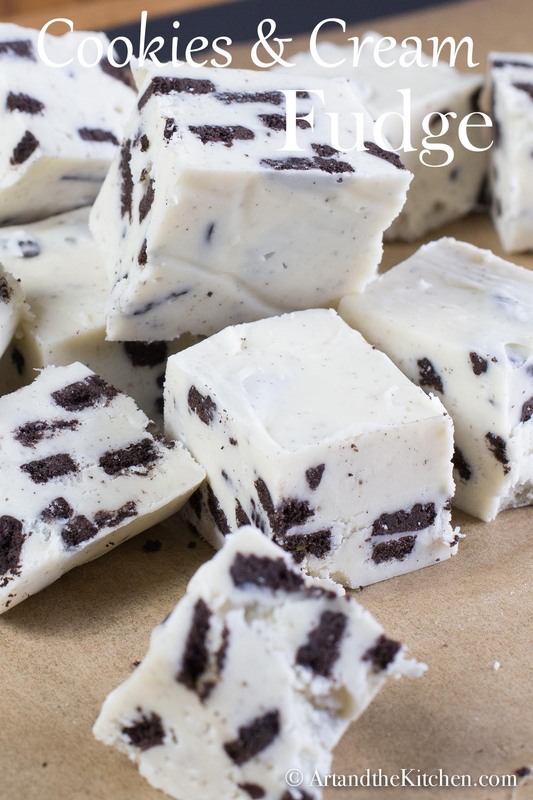 I’ve tested a few Cookies and Cream Fudge recipes, and this is by far my favourite. 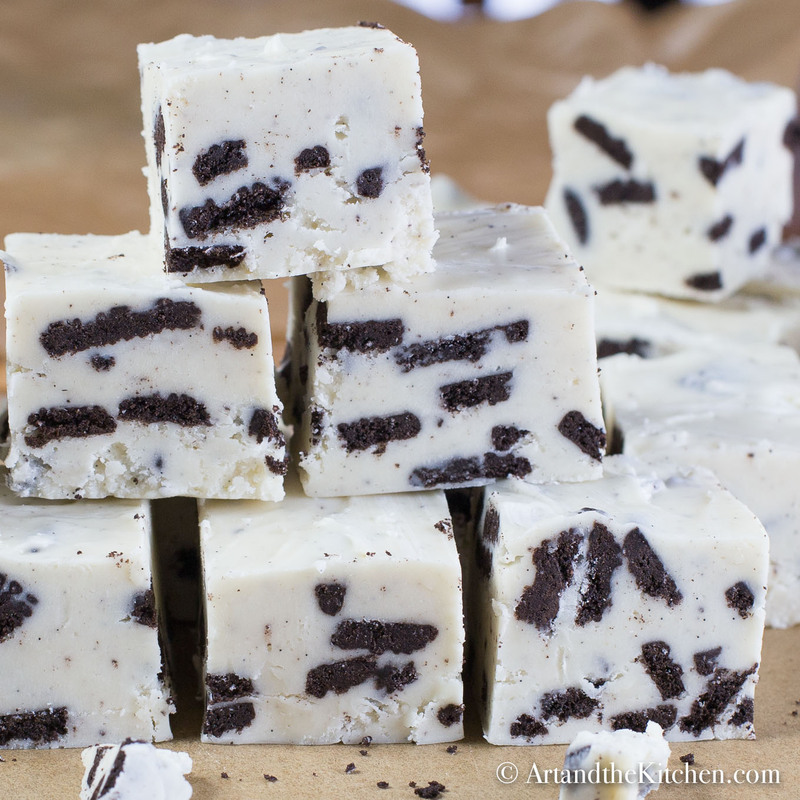 The marshmallow fluff adds a nice smooth texture to the fudge. 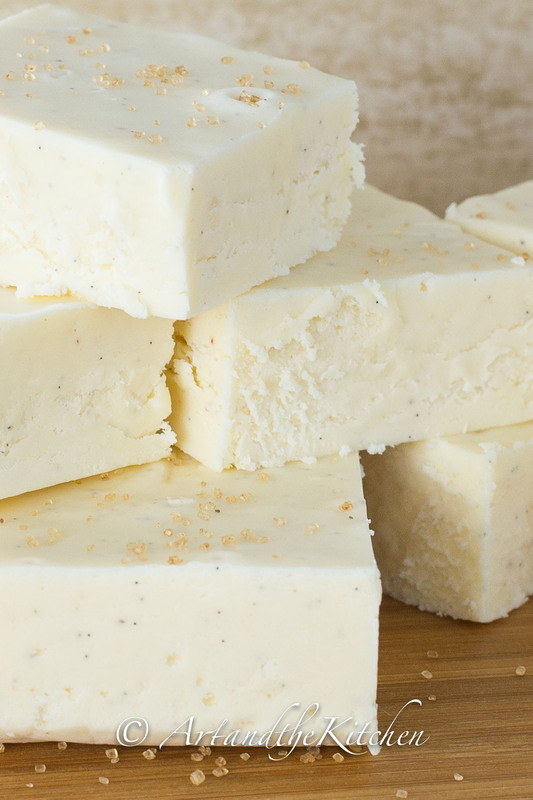 Fudge is something I consider an extra special treat, so I splurge by using fine quality white chocolate and a fresh vanilla bean. Pure vanilla extract will also work is you can’t find beans. 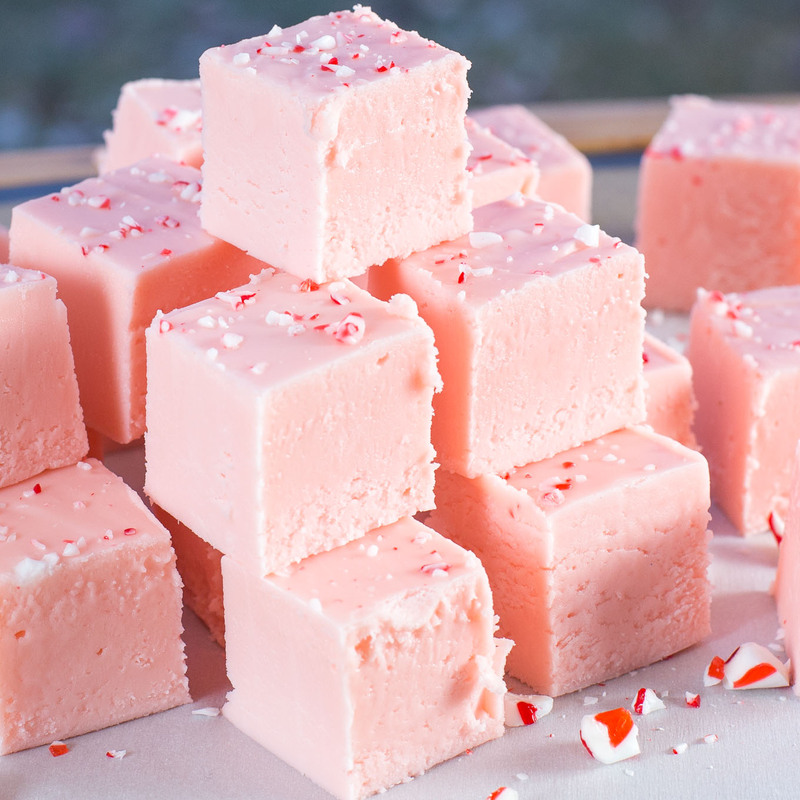 SAVE this recipe to your sweet treat PINTEREST board, and be sure to follow ArtandtheKitchen on Pinterest for more great recipes! Home baked treats make terrific gifts, so buy some beautiful decorative tins and fill them with decadent fudge. A huge hit, every time! Line 8x8 inch square baking pan with foil, lightly butter. In the bowl from standing mixer, stir together white chocolate pieces and marshmallow creme. Set aside. In large saucepan combine butter, sugar, heavy cream, salt and vanilla. Cook over medium heat constantly stirring until mixture begin to boil. Boil for 4 minutes, stirring continuously. Mixture burns easily, so make sure to keep stirring. Remove from heat and pour over chocolate marshmallow mixture. Place bowl on mixer and beat for 1 minute until chocolate is fully melted. 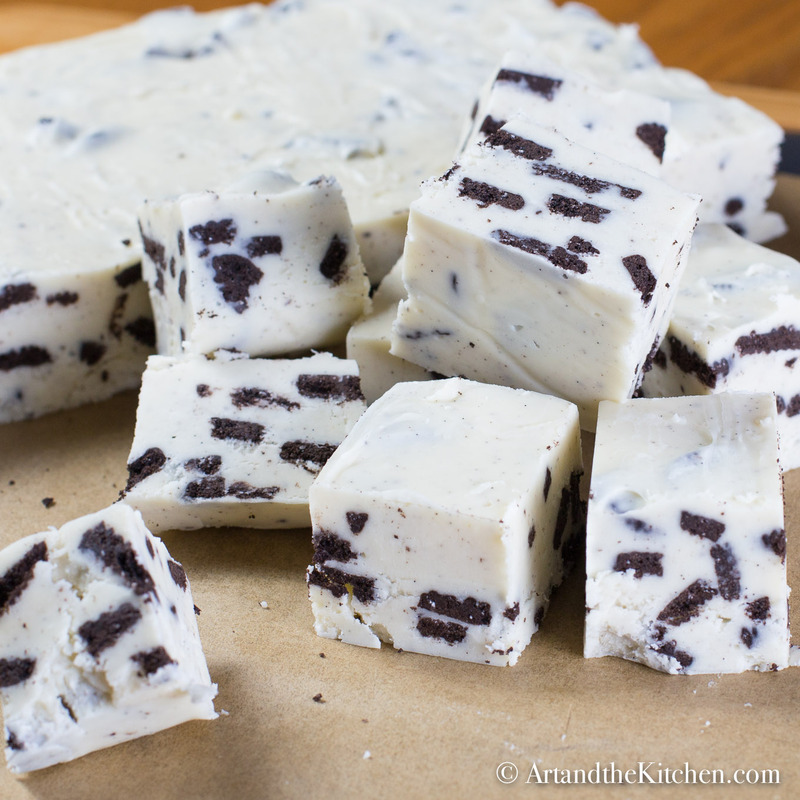 Remove from mixer and by hand stir in oreo cookie pieces. 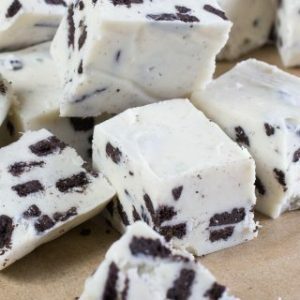 Cut into delicious bite sized pieces! I like Kraft marshmallow creme best, but any marshmallow fluff will work. 1 teaspoon pure vanilla extract can be used in lieu of vanilla bean. This looks yummy and I plan to make it to Christmas. I just have one question. At what point do you mix in the chopped Oreo’s? Hi Kristins, thanks for catching that, I have edited the recipe to show stirring in the oreos after everything else is mixed together. Hi I’m from Australia and I’ve never seen or heard of marshmallow fluff can use marshmallows instead ? Hi Charmaine, I’m not sure how it would work, but if I was to try with marshmallows I would melt the marshmallows to the same consistency you get when making rice krispie treats before adding it in. Have you tried replacing white chocolate with dark chocolate?